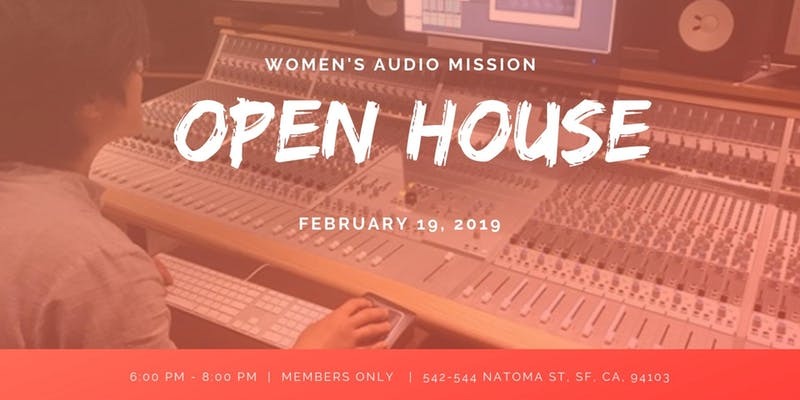 Women’s Audio Mission Members are welcome to come to the WAM studio for an open house and tour of the studio! Check out our new Studio 2 and learn about all of the upcoming classes WAM is offering in 2019! Become a WAM member today! For more information on the event and the perks of becoming a WAM member, check out the event page here! This event is hosted by Women’s Audio Mission, a member organization of Alliance for Girls.